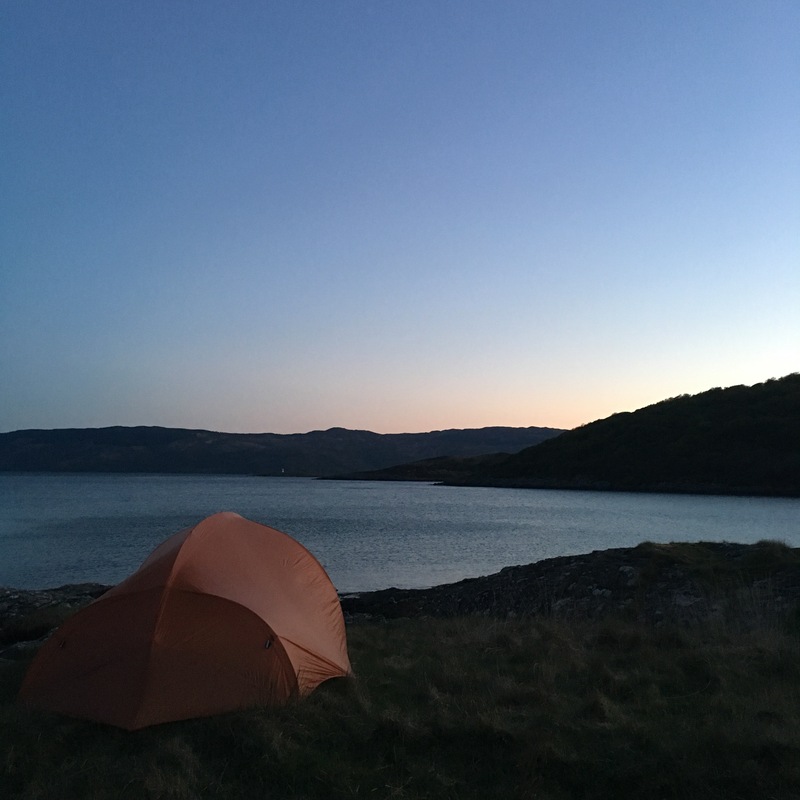 On Friday I took a wee holdiay, 24 hours camping on the Cowal coast – a place called Asgog Bay. 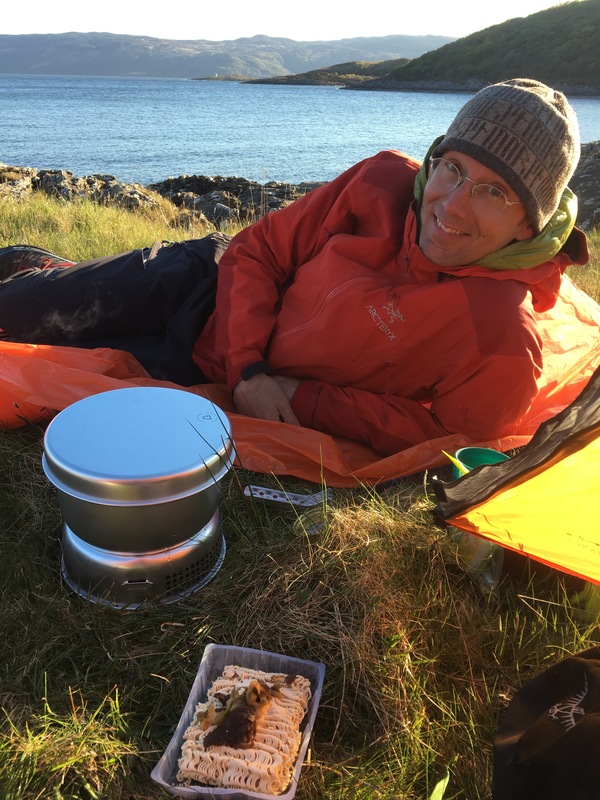 The weather was fantastic, sunny and warm; and with no midgies it was perfect weather for camping. Asgog Bay has a shingle beach with great views of Arran tot eh south. 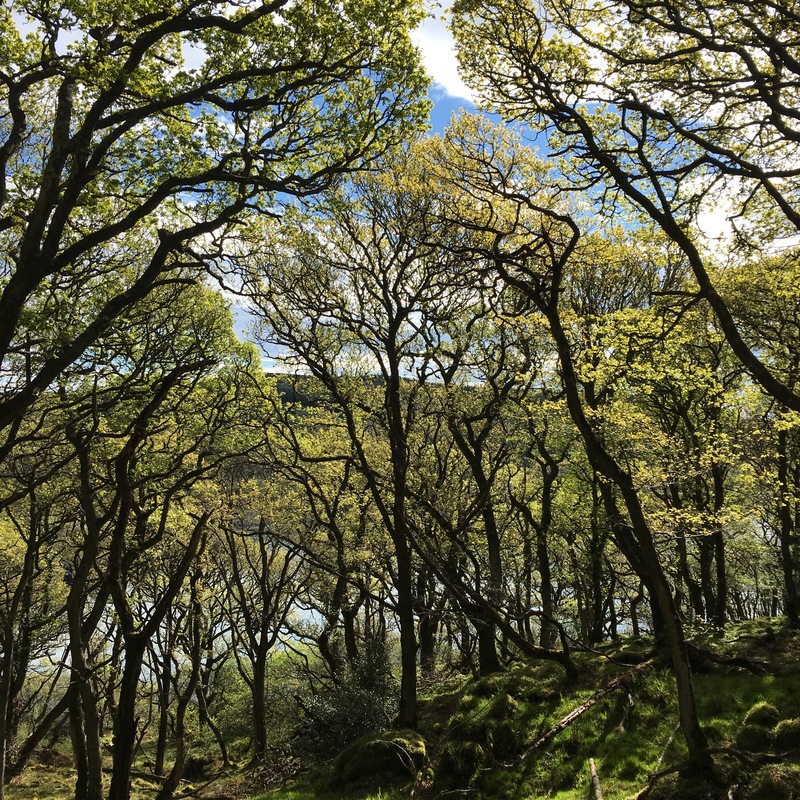 Along the shore there are the remnants of ancient oak woodland with beautiful old oak trees, just coming into leaf. After having setting up camp and eaten dinner, I set myself the challenge of getting a fire going with some quartz and steel. 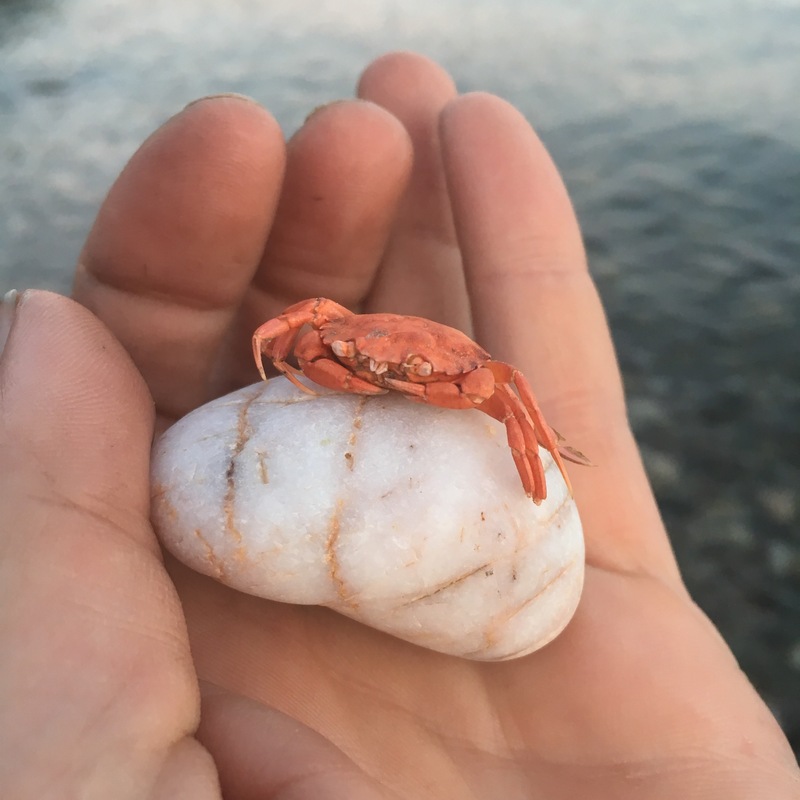 This is the same technique as flint and steel but with flint being pretty rare in Scotland, an alternative method is to use some quartz with a sharp edge. ​I also needed some char cloth and a steel (charred dish cloth I’d made earlier and a broken piece of file). Having got all the bits together I used the file and quartz to shower some small sparks onto the char cloth. Next I added the cloth to my tinder nest (the dry purple moor grass and birch bark). Then the fun bit – blowing the ember into flame. After than I lay the bundle of lit grass on my raft of driftwood and added small twigs, adjusting the air gap between the raft and grass to allow the enough air in. Once established I used the fire to make some tea. The evening was spent pottering about the fire, drinking tea and taking in the beautiful views of Arran to the south. The next morning we explored the ancient oak woodland around the bay. ‘Atlantic Oak’ woodland was once common all across the west coast. Sadly it is very rare today, reduced through tree felling long ago and threatened today by overgrazing by deer. 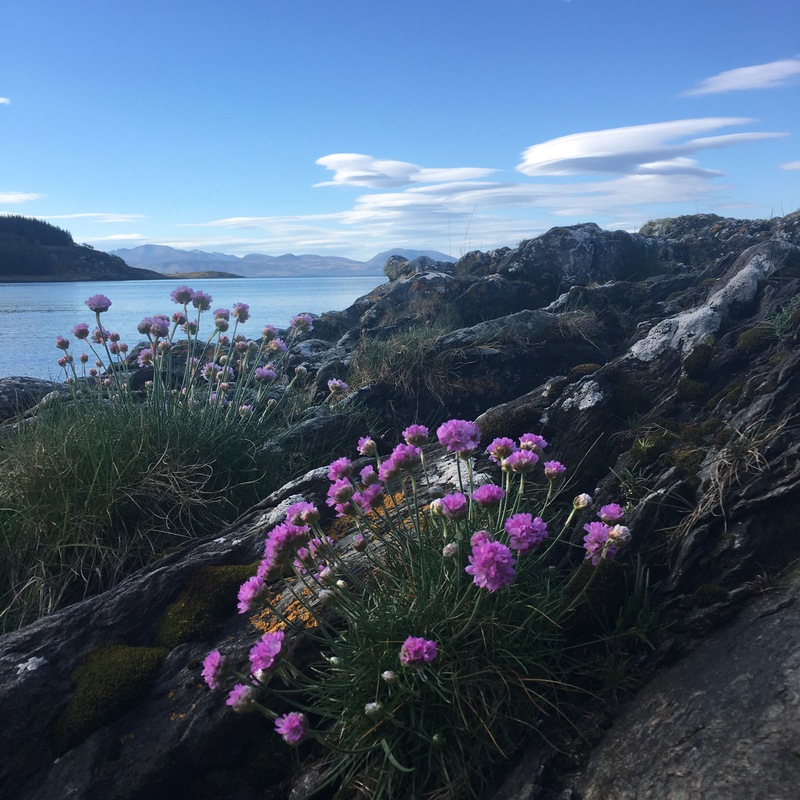 We have become so accustomed in Scotland to bare hillsides with grass and heather that we don’t appreciate what Scotland’s landscape could be like. 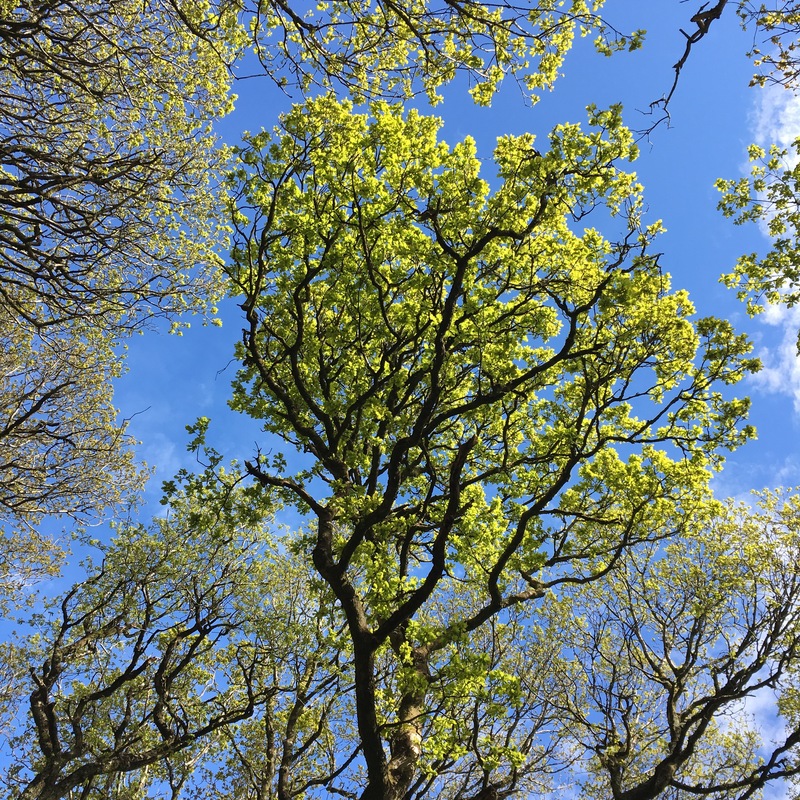 With a different appraoch to woodland and deer management these beautiful woodlands – the most bio-diverse habitats in Scotland – would regenerate. 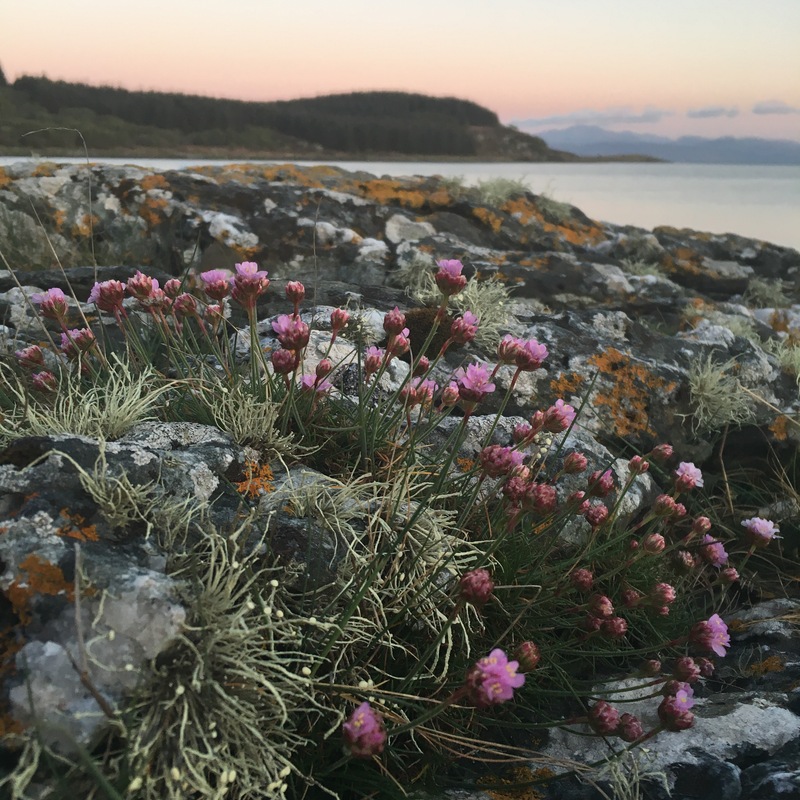 If you fancy exploring remote coastlines and oak woodlands like these; or want to learn how to make a fire with quartz and steel, please get in touch – alastair@aspenoutdoors.col.uk.